Julie Harris was born and raised in New Jersey. Her entrepreneurial spirit began at a young age. This spawned many exciting career opportunities across the globe as a Corporate Event Planner for high profile clients including Oprah (HARPO productions). During this chapter of her life, she experienced many successes including being voted Rookie of the Year by her peers and achieving President’s Club status for three consecutive event cycles. She also made time to be involved with several successful residential real-estate projects across the country. Eventually her path landed her in Arizona and she developed a passion for the beauty and culture of the Sonoran Desert. Inspired by the connection that she made with the area, Julie decided to make Arizona her home and continue to develop her passion for Real Estate. 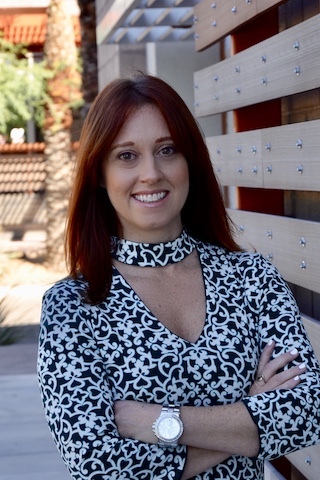 Motivated to specialize in commercial real estate, Julie attended Arizona State University. There she received her Master of Real Estate Development degree and joined Diversified Partners. During her Graduate work, Julie received scholarships from both AZCREW (Arizona Commercial Real Estate Women Network) and ICSC (International Council of Shopping Centers). Upon completion of the program Julie was approached by ASU and the City of Tempe to pursue her Capstone project and make it a reality. Since graduation Julie has taken the project from the classroom to a viable development plan which includes a partnership with ASU, the CITY of Tempe, and Artspace (a national nonprofit developer). Julie also serves on the Board of Directors for ASU’s MRED Alumni and is involved with CorNet Global, GPEC, ULI, AZCREW, ICSC and NAIOP. Additionally, she holds an undergraduate degree in education from Stockton University and a Master’s degree in Corporate and Public Communication from Monmouth University.